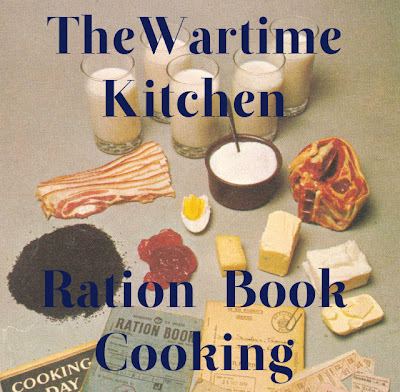 We've all heard stories of 'what it was like in the war' and the recent TV series, War Time Farm brought home again how different things were for people in Britain trying to get by and feed their families during the Second World War. When Karen of Lavender and Lovage suggested living on WW2 rations for a week, I was right in there signing on with Karen and Fiona from London Unattached. As the time has got nearer, it has become more daunting, maybe because I've really looked at what might be involved! I've thought hard about how I should approach this challenge and over this weekend I have come to the conclusion that I need to start from where I am. So my challenge will take into account that we live on a farm where, according to my MIL who lived through WW2, there were always plenty of vegetables and they didn't often have to do without. In terms of our own family, if there was a war on my sons, who are 23 and 25, would be enlisted and fighting. I would like to think that our younger son, who is a musician, would be in ENSA entertaining the troops. Our elder son, perhaps a quartermaster, organising the stores in one of the forces. However, it is more likely that they would front line troops sent to Europe or the far east to fight for their country. It gives me a chill just to think about it. 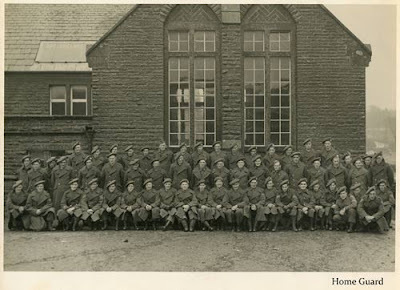 During the Second World War it was considered essential that a male workforce was kept back from active military service to be employed in certain jobs. As a farmer, my husband would be in a 'protected occupation', just as his father was, and I would also be needed to work on the farm, which is why you see my dressed as a 'Land Girl' in my blog header this week! This photograph of the local Home Guard includes my late father-in-law. So what are we working with? Not a lot to be honest, but as there are three of us in the house, I have tripled these rations to feed all three of us, on the basis that it will be easier and more economical and make the rations go further than if I'm not dealing with rations for one. Heat the oil over a moderate heat, add the cleaned chopped leeks, and let them sweat for while until they start to soften. Add the potatoes, chopped into 2in chunks and cook for a couple of minutes. 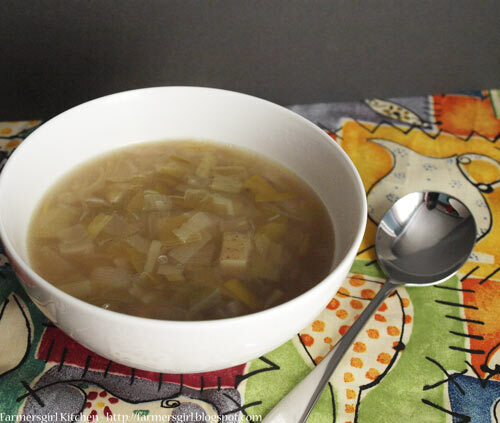 Add the stock and cook until the leeks and potatoes have cooked, about 30 minutes. 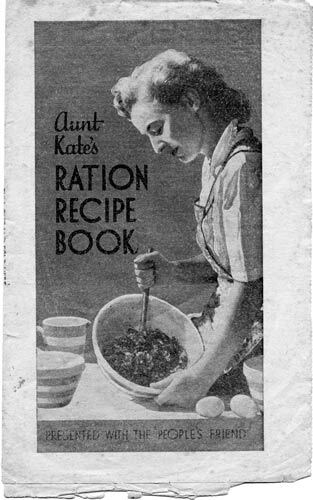 Sausages were not on ration but were often difficult to get hold of, so when you did get them, you wanted to make the most of them. Eggs were rationed and this pie, uses all of our egg rations for the week. However it will provide two meals, so good value. 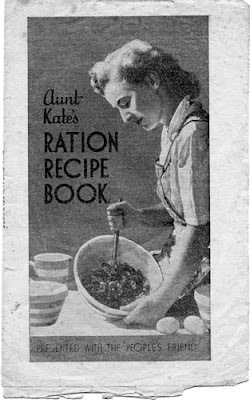 The recipe comes from Aunt Kate's Ration Recipe Book, presented with the 'People's Friend'. 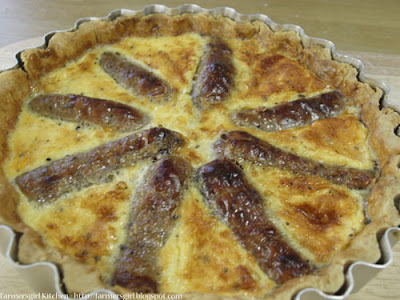 Line a deep sandwich tin with pastry, Place sausages, sliced length ways, on the pastry. Beat the eggs with the milk and a dash of salt and pepper and pour over the sausages. Bake for 45 minutes in a moderate oven. Use hot, or when cold cut into wedges and serve with lettuce and sliced tomatoes. Cheese: 150g (6oz) rising to 675g (1lb 10oz)? Sweets: 262g (3oz) per week. 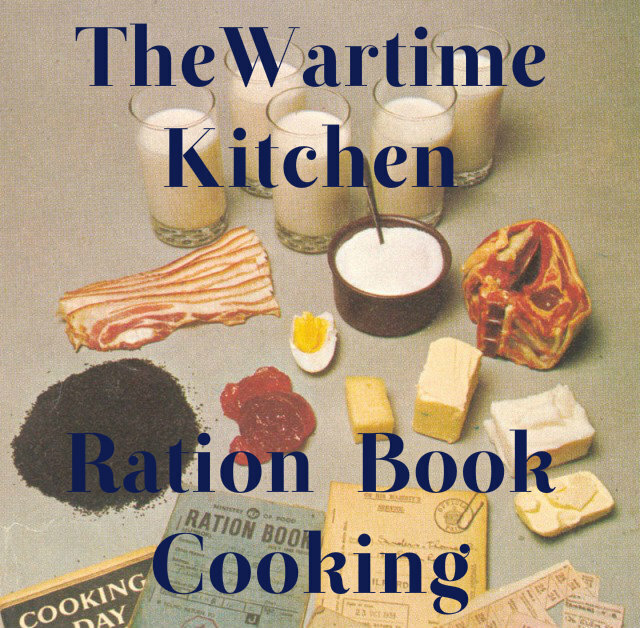 Why not join Karen and Fiona on their Wartime Kitchens? love the new banner janice! Well done to you for trying this! Sounds like a great challenge, good luck for the rest of the week! Wow Janice! I love the challenge, I love your banner. I love your recipes and the nuggets of info making it personal. You are ace! Thanks all, it seems to be going quite well at the moment, although there is a lot more preparation to do.